I think that kids should start eating healthier because we are what we eat. If we can stop obesity, and avoid the diseases which occur from poor eating habits, and improper cooking procedures then maybe we will all be much healthier. One of the careers I am considering is becoming a Chef. I enjoy making my own concoctions and experimenting with flavors. 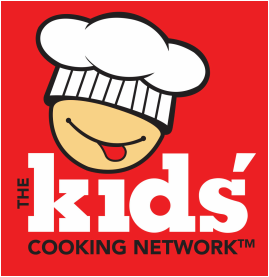 As a member of The Kids Cooking Network Advisory panel I am committed to doing research to help influence the future kids of the World in healthy living and eating. I am also personally aware of food allergies and sensitivities because of my friends, family and myself. I think that people should try to grow more foods on their own to help reduce the risk of pesticide usage. My favorite healthy snacks are: apricots, figs and these really great cranberry/oatmeal cookies. I have many foods I enjoy so I could go on and on. Graham crackers with frozen yogurt, banana drink smoothie, cucumbers and balsamic vinegar drizzle, tomato and mozzarella and more! I’m Sophia, I’m 14, and I have a major thing for health. I’m an aspiring singer and actress and I KNOW how important it is to keep myself incheck. I love to sing, I love be with my friends and I love to have fun. But Ialso love to run, exercise, and eat healthy, fresh foods. Sounds funny coming from a kid, I know. But that’s why I’m here. To show you how good it feels totake care of yourself, eat great foods, and HAVE FUN with it. We all know about howfast food can harm us and all that, but what we REALLY need to know is how todo something about it. The LITTLEST things can be helpful, like what I said above, finding our favorite fruits and veggies and cut them up for snacks around the house, rather than having bad, fattening snacks laying around, or ifkids make an effort to buy more fruit juices at the grocery store instead ofsugary sodas, finding creative ways to eat our vegetables if we don’t like to eat them. Such as dipping our carrots in salad dressings, or slicing up some tomatoes and celery and sticking that into our sandwiches at school.